I colored the clock with copics and added some stickles to the flowers and hands on the time dial. The papers are from Kaiser from a couple of years ago. The buttons and pearls are from Studio 112. I cut the sentiment out and glued it to a banner type tag I cut. The lace is from my stash. I like this side view a lot better because it shows the true colors of the paper. I tried to make the clock look weathered and have a shabby chic look to it. I tried to do a clean and simple layout but I don't think that's really my forte! Here's a glimpse of the inside. I'd love to see you join in with our challenge. It doesn't get much easier than anything goes! 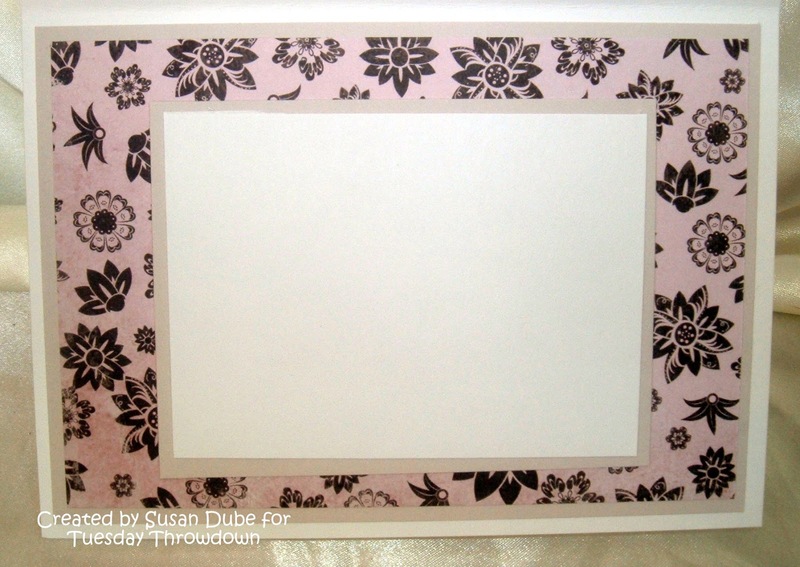 And stop over at our Tuesday Throwdown Challenge Blog and see the fun projects that my design team buddies have come up with to inspire you! Hi Susan, really pretty! 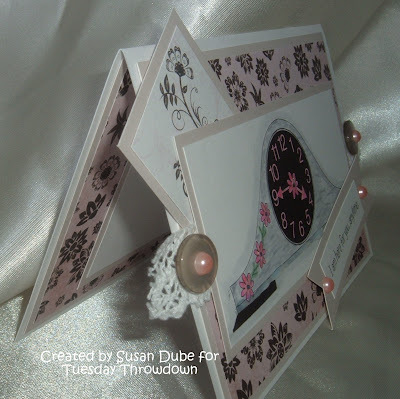 I love the papers and the vintage-feel of your card. 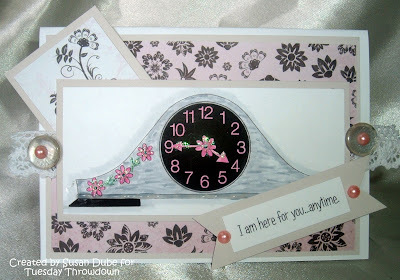 Great card and sentiment.. Love how you colored the clock, too. What a very unique card!!!! 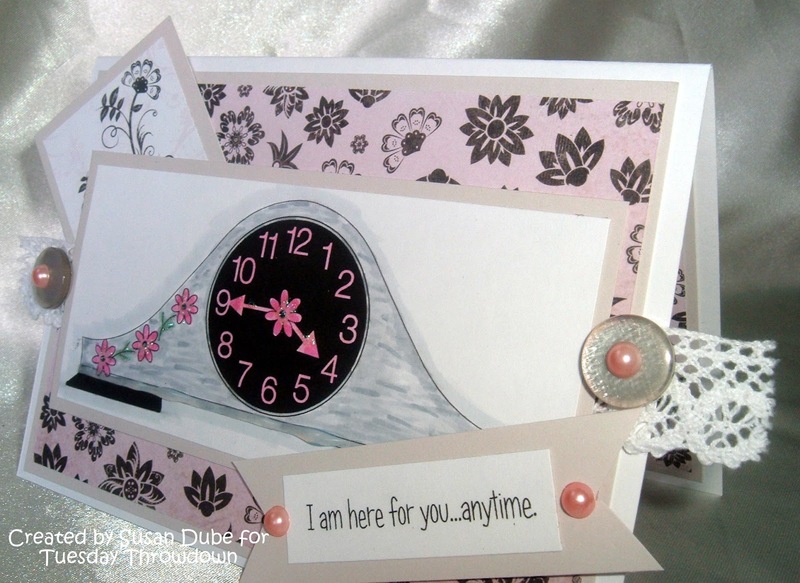 I love the way you used the sentiment and a clock! Just perfect! I Love Me Some Stitching . . .